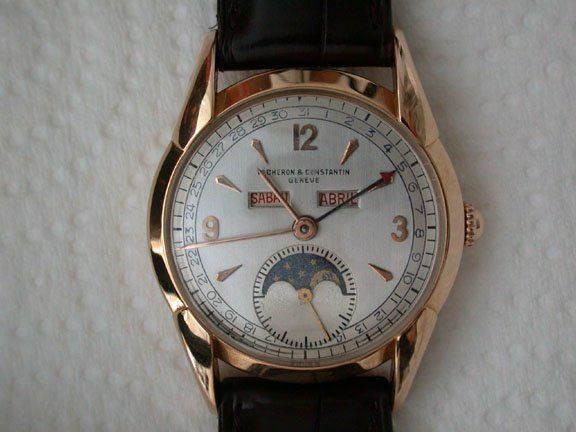 I’ll need a few more words to help explain which is my favorite movement from Vacheron Constantin. 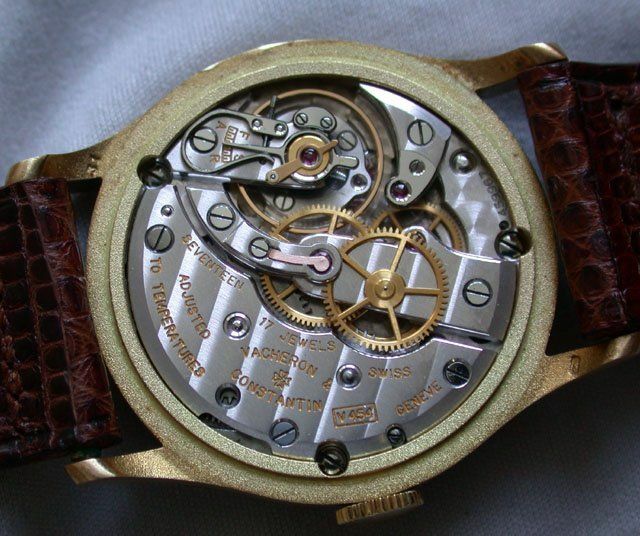 There are many outstanding choices in this category, from vintage to modern and from simple to complicated, but if I could choose only one, it would be the caliber 453 “family” of movements. This is the engine that powered much of Vacheron Constantin’s production through the 40’s and 50’s, and even in to the 1960’s. 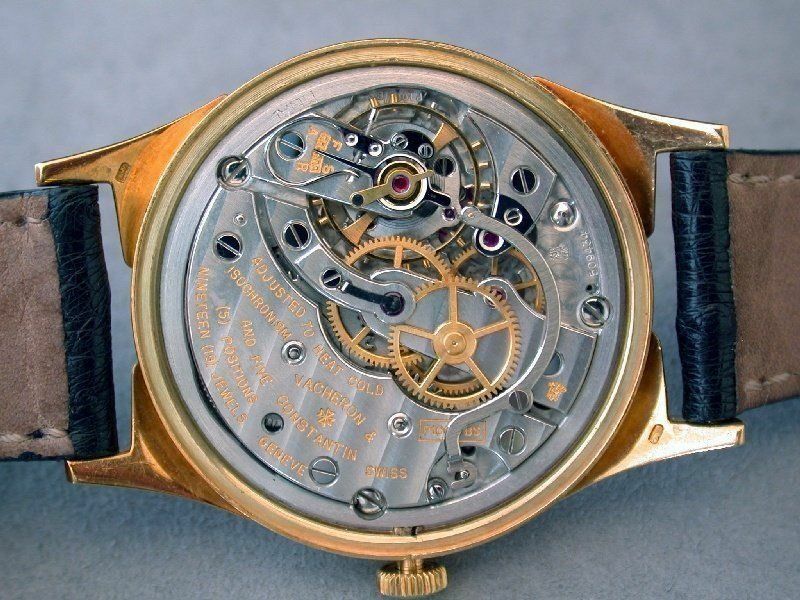 In its base form, as caliber 453, it was a three-hand watch with sub seconds. The base caliber 453 had seventeen jewels, was 28.80 mm in diameter, 4 mm thick, and beat at 18,000 VPH. There are examples that have 18 jewels and a stamped with the Geneva Seal. The addition of center seconds in the caliber 454 added 1 mm to the height of the movement. Even more finely finished, and adjusted to 5 positions, was are the calibers 1007/BS and 1008/BS, based on the 453 and 454 respectively. These were exclusive to the Chronometer Royal family of watches. 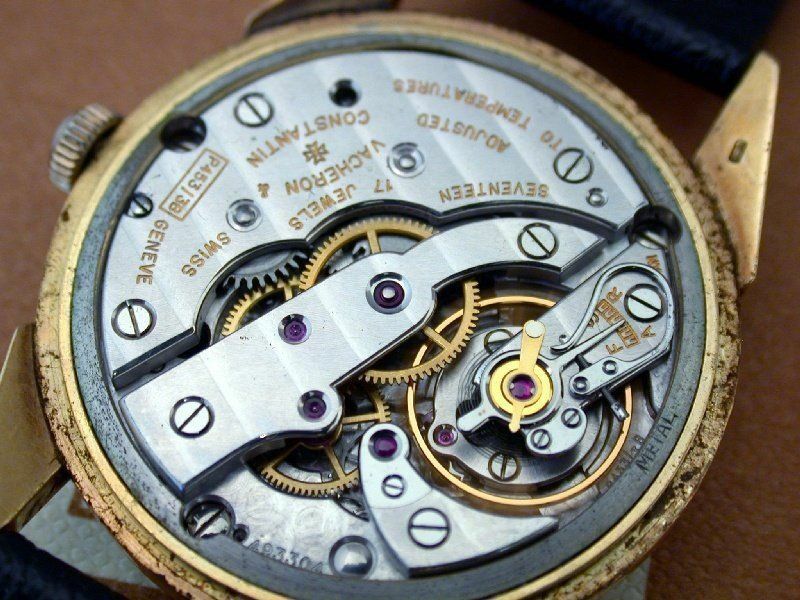 The “BS” is for “Balancier Stop,” which means the seconds hand stops when the crown is pulled out to set the time. The lever across the bridge is the mechanism by which the hacking function is affected. 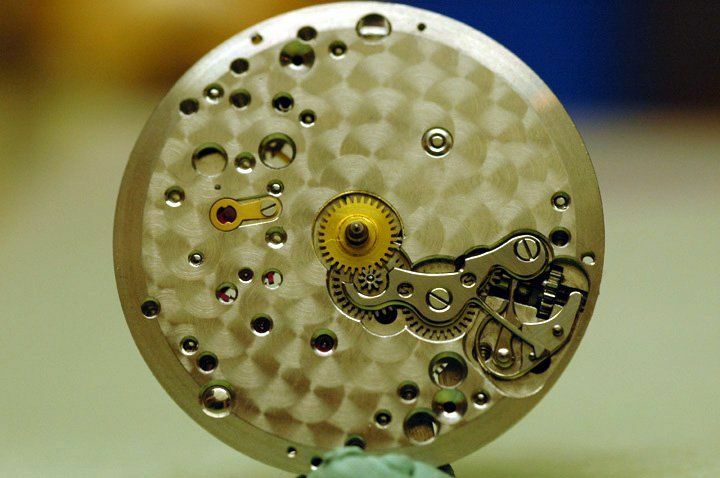 This is the finest finished movement that Vacheron Constantin produced for a serially produced watch, and it is worth lingering over SteveG’s photo of it that I repost here from his gallery post on this watch (Steve, please post some more of your photos!). 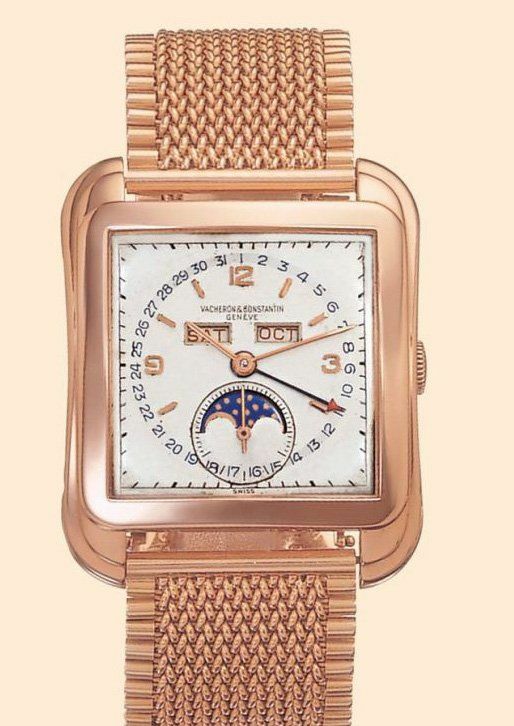 Last but not least, the 453 served as the base movement for Vacheron Constantin much sought after vintage triple calendar watches, both with and without moon phase, the calibers 485 and 495. Though I do not have a photo of the works under the dial for the 485/495, I do have this photo from under the dial of a standard 453. The finishing of the keyless works and the application of perlage are both worthy of mention. 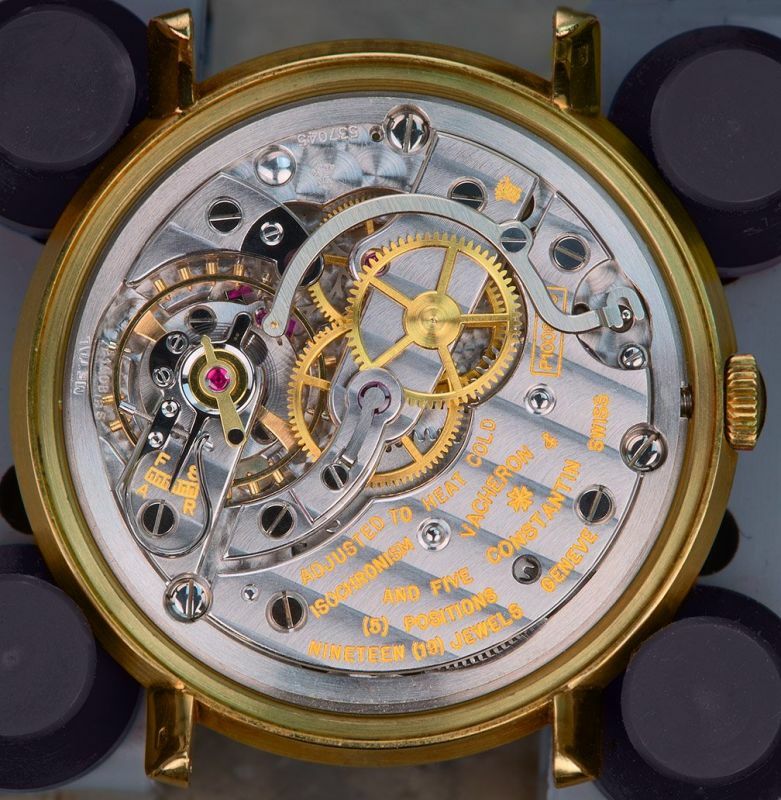 Many collectors, myself included, have been impressed with the quality and reliability of the 453 family of movements. Well-maintained examples can still be regulated to keep time to COSC specifications. There are not many mechanical devices almost 70 years old that can work as well today as they did on the day they were born. 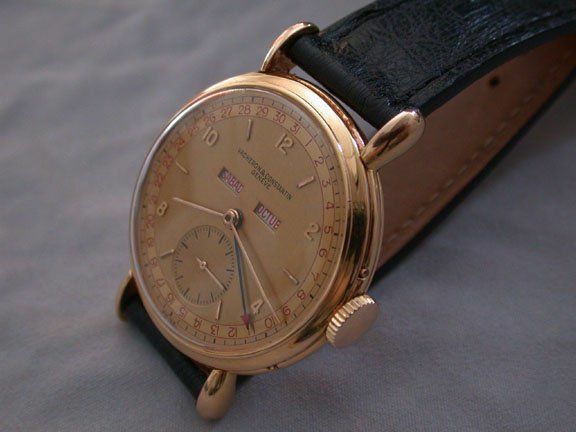 Indeed, the legendary Philippe Dufour based his Simplicity movement on the rugged and reliable gear train of the JLC ebauche upon which Vacheron Constantin built its 453 family of calibers, connecting this vintage classic to contemporary watchmaking.